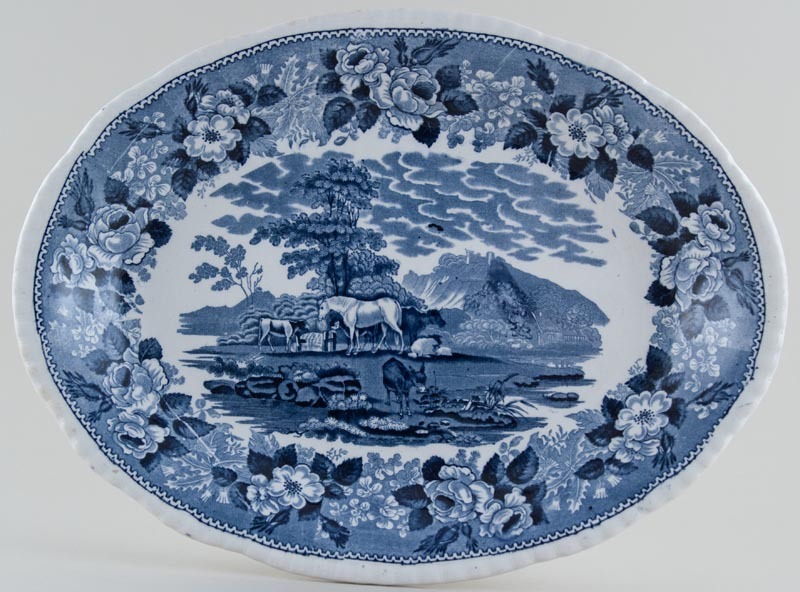 Gorgeous dish with quite deeply canted sides and printed in a light steely blue. Backstamp: Adams Est 1657 W A & S Cattle Scenery Ironstone and impressed date for 1923. A little crazing with minor surface scratching and a little wear to the outer rim. OVERSEAS SHIPPING OUTSIDE EUROPE Owing to the size of this item a supplement of � about US$52 will be added to the standard overseas shipping charge.